Brown University researchers have developed a 3D-printed hydrogel that can repair itself. To be more specific, it’s a dual polymer – one with covalent bonds and the other ionic – capable of bending, twisting or sticking together when treated with certain chemicals. The first provides strength and structural integrity, while the second the ability to bend and self-adhere. When combined, the soft material is perfect for use in robotics and / or medicine. Read more for an image showing how it can even be used to create LEGO bricks. “Until now, it’s been hard to pattern hydrogels with the complex channels and chambers needed in microfluidics. 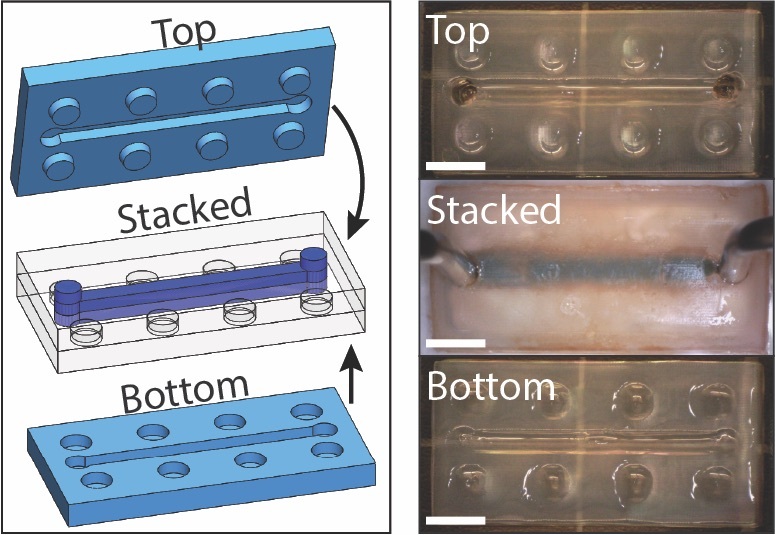 But because this new material is 3D-printed, it can be made in stackable LEGO-like blocks, and “complex microfluidic architectures” can be incorporated into each block. These could create a type of modular system in which blocks with different microfluidic channels could be fit together as needed,” reports Engadget.